All inspections will be conducted by National Parks and Recreation Certified Playground Safety Inspectors. Inspections include detail reports and recommendations. 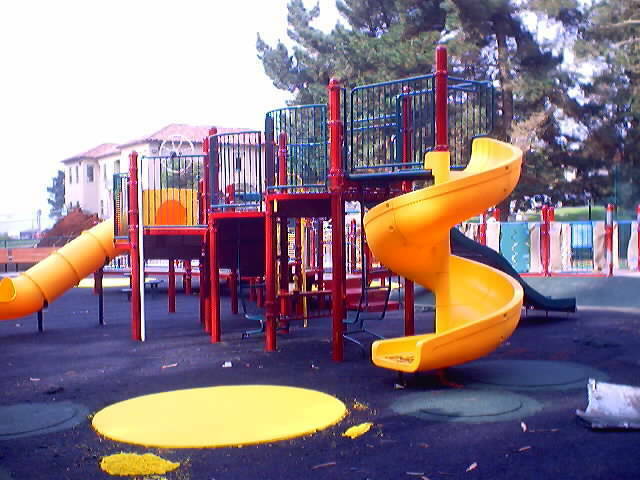 As of January 1, 2000, California requires all public playgrounds to be inspected by a Certified Playground Safety Inspector. The purpose is to ensure that playgrounds comply with the California Playground Safety Regulations. Examples are: Surfacing material, equipment layout, critical heights and use zones, equipment design and maintenance, and accessibility. Upon completion of the inspection, you will be provided with a detailed report that includes photographs, identified hazards, and recommendations for bringing the playground into full compliance. Playground maintenance programs are a critical part of compliance. We offer tailored maintenance programs appropriate for your playground facility.